Novartis, a pharmaceutical company invited the artist Eva Schlegel to do some permanent interventions for their new headquarters in Switzerland. We consulted the architectural design and building process. Architectural design and the intervention were always seen as one (there was never an application of the intervention on existing architecture, it was always designed as one). Novartis .garage entrances. 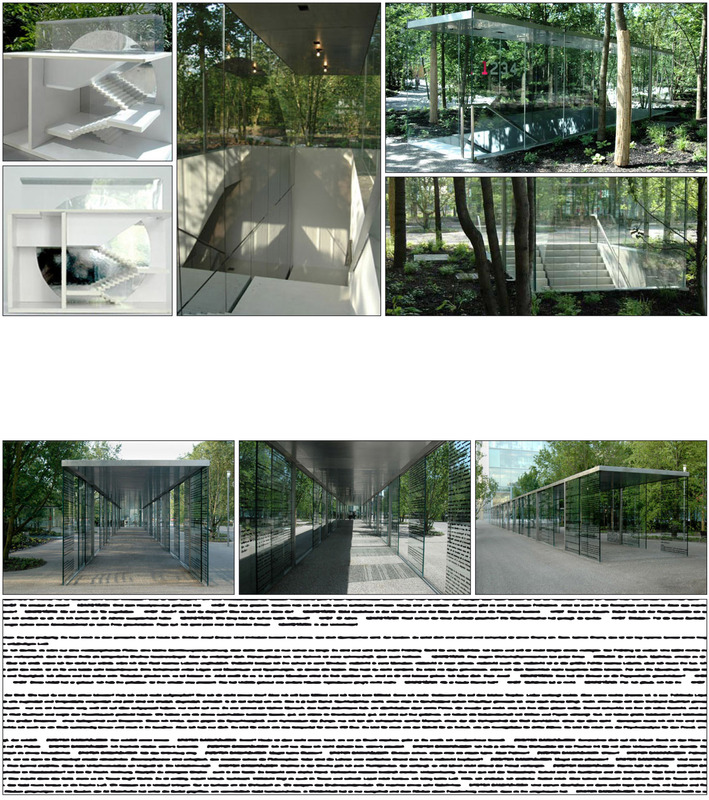 4 entrances to the garage, situated in the campus garden the entrances melt together with the surrounding, the glass walls just go straight into the ground, on one glassfront a spy mirror in form of a circular shape is applied, to make everything almost invisible. Novaris .walkway. ist the connection between the entrance pavilion and the campus.